Some riddles fox us __ keeping us charged, engaged and wanting to try harder! Isn’t Life one such inscrutable, unsolvable riddle itself? Life’s a riddle …. oh! The song is a moving paean to Life’s ironies. Even so, it is Life’s paradoxes that make it beautiful. I woke up this morning thinking about this irony. It was both stark and beautiful. It was tragic and moving. Tragic because someone who I considered “my own” did not want to trust me anymore. And moving because a rank newcomer was willing to. While I humbly submit that some of my conduct, circumstantial or otherwise, may have led to the erosion of trust in the first instance, I am still unable to comprehend the compassion of the person in the second one. But such is Life. An enduring mystery. A logic-defying experience every single time. Unique in the way it treats each of its own creations. You will have experienced such moments too, just as I have, several times over. Yet, we must not even try to solve the Life riddle. Because we will get confused and even go bonkers. Life does not conform to any concept, framework or mindset. Trying to make meaning out of Life is futile. We will never understand the meaning of Life. It is impossible. The only way to live is to make this lifetime meaningful! For instance, those who have everything material are often searching for the most easily available treasure – happiness. And those who have nothing, while working hard to acquire everything material, are perhaps happier, because they know they can live, as they have lived so far, without them. Or those who have gone through a Life-changing crisis have often found a great inner peace. Because despite their upheaval, they have understood the impermanent and transient nature of Life! But when you think logically, when a storm ravages one’s Life, you expect pain, grief and suffering. Not inner peace. Yet ask anyone who’s been tossed up by Life and thrashed down, and they will swear that Life’s trials and tribulations have made them stronger and more peaceful. Interesting isn’t it? This paradoxical quality of Life! That’s perhaps what makes Life beautiful __ and worth living. 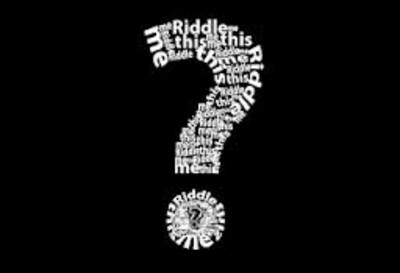 Here’s an interesting Life riddle that German philosopher Friedrich Neitzsche (1844~1900) poses: “Is man merely a mistake of God’s? Or God merely a mistake of man?” Keep thinking. And may be when you do get an answer to that question, you will have unraveled the mystery of Life itself!